It may seem obvious that farm animals have special diet plans for their different stages of life. 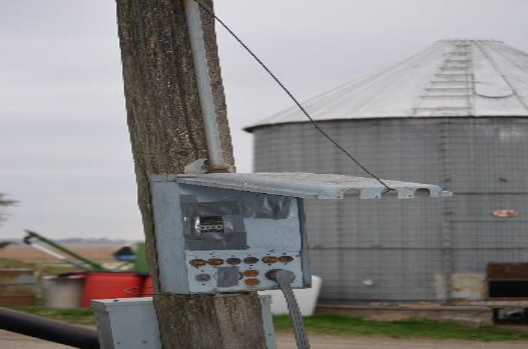 To maintain reliability, and to help prevent very large financial losses, shouldn’t it be obvious that farm electrical systems need a care plan too? Just like animal feed mixing formulas, these electrical systems plans should be documented and reviewed periodically. Following simple maintenance guidelines ideally keeps electrical equipment on the farm running clean, dry, tight and cool. Even if the guidelines are simple, reaching the desired result isn’t, because farm buildings are typically dirty, wet, corrosive and hot. The key to keeping equipment clean is to limit as much debris as possible from getting inside electrical enclosures. Sometimes the solution is a specialized enclosure, not just a basic drip-proof enclosure. Debris can be conductive when humid or combustible when dry, and dust and vapors can even be explosive. Many electrical “faults” have been caused by small animals getting inside electrical equipment and providing the path from an energized conductor to ground. Some of these incidents have even shut down operations for extended periods due to severe electrical arcing and the time needed to get replacement equipment in place. The simplest preventive approach is to make sure enclosures are appropriate, covers and faceplates are in place, and doors are closed. Fillers should be used to prevent debris and vermin from entering missing conduit knockouts and circuit breaker slots. Very dusty locations and fuel tank pump areas should have explosion-proof fittings and conduit. Electrical enclosures that are located outside should not just be drip-proof, but should be water-proof. Covers and conduit knockouts need to be in place or filled if missing. There are many high moisture areas inside of buildings, like parlors, wash bays, slurry pits, and confinement buildings. Most low voltage electrocutions involve water, so extreme care should be taken for this hazard. Well water is an excellent conductor, and electrical equipment in a wet environment can more easily find an alternate “stray” path to follow, which might trip circuit breakers or fuses. If a safety device isn’t tripped, the continued current flow will heat up the alternate path and could become an ignition source. In addition to fire, there’s also a safety issue of shock from an energized conductor, which doesn’t only have to be a wire or cable, but could also be a handrail or metal building skirt. Moisture will also contribute to corrosion of both the outside, as well as the inside, of electrical equipment. Corrosion can cause electrical connections to loosen and result in electrical arcing. Corrosion can also cause conduit to rust away from the fittings, sometimes breaking the ground connection and increasing the likelihood of a slower safety device trip or potential for shock. 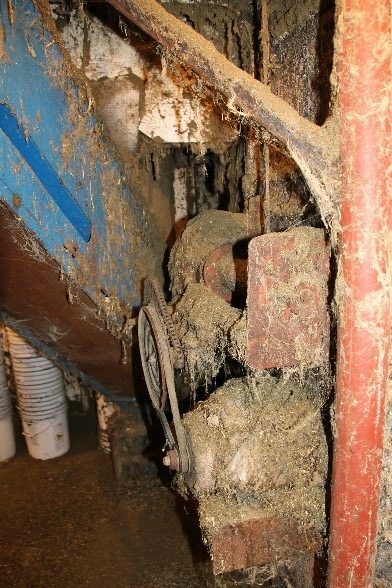 Animal confinement areas are notorious for corroded electrical equipment. 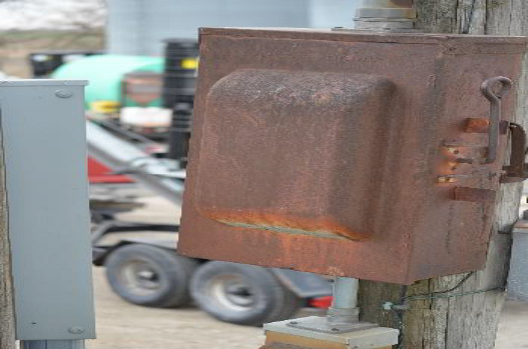 Corroded conductor connections may show up on an infrared thermographic electrical equipment survey as a “hot spot”. 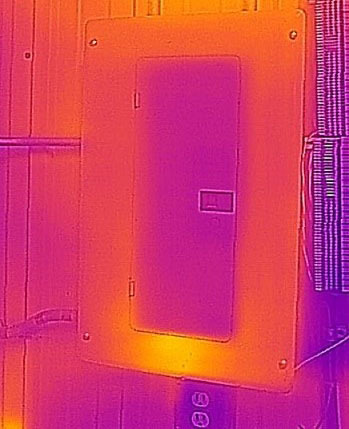 Even less expensive handheld infrared cameras can identify electrical conditions that need attention and maintenance. Water-proof stainless steel enclosures are highly recommended for wet environments, along with protective conduit to combat corrosion. In general, most electrical farm equipment is not going to be in a climate-controlled environment. Depending on the season and location, typical temperatures can be greater than 100 degrees F.
Buildings with either a metal roof or siding and a Southern exposure will contribute to solar temperature loading. Any additional electrical load will add to the environmental temperature and increase the overall operating temperature. Elevated temperatures will shorten the life of electrical equipment by making the electrical insulation brittle. Jams in an auger, grinder or mixer will overload motors and lead to overheating and burnout. Phase-converters are often undersized for the application and can also overheat and fail. What can be done to protect the property? 1) Schedule and complete a visual inspection of key electrical equipment, such as water, confinement fans, process and backup power connections. 2) Schedule and complete periodic visual inspections of the areas where fire would damage high-value contents if the building and vehicles and implements it houses were lost. 3) Subscribe to and follow HSB’s blog for ongoing postings on recommended electrical maintenance, loss prevention tools, and surge protection.